The District Convention should be one of the highlights of a District Governor’s year and Convention at Solihull certainly tops my list. I must thank everybody involved in making it happen and everyonewho turned up and took part. My weekend started at 9:30 a.m. on Friday, when I picked up our international guests, the wonderful Kenneth and Eva Persson from Sweden, from the air-port. After leaving our bags at the hotel, we went for coffee, cupcakes and conversation at Fallen Angels, a café in Solihull centre. Then it was on for a light lunch at The Lazy Cow, before our first meeting of the weekend with Mayor of Solihull Joe Tildesley at his parlour. 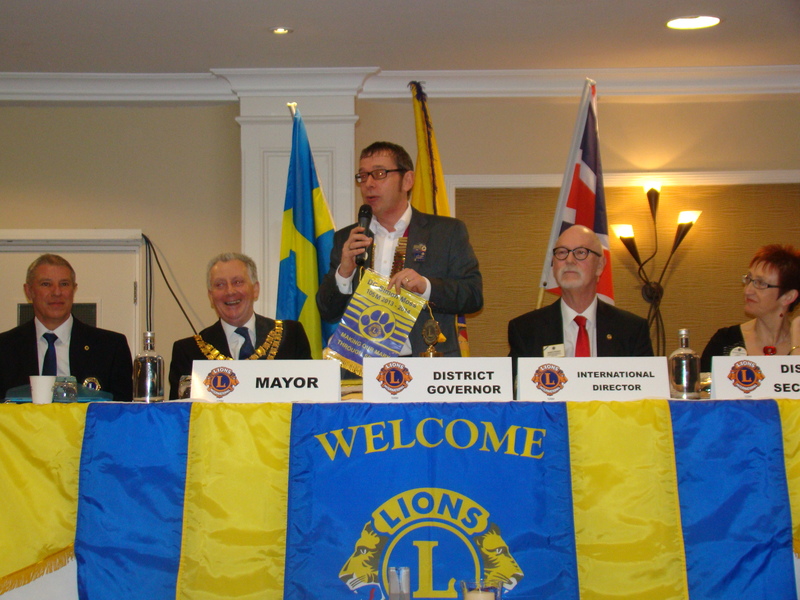 Kenneth’s first question for the Mayor was why he wasn’t a Lion and amongst the reasons given was that he hadn’t been asked. 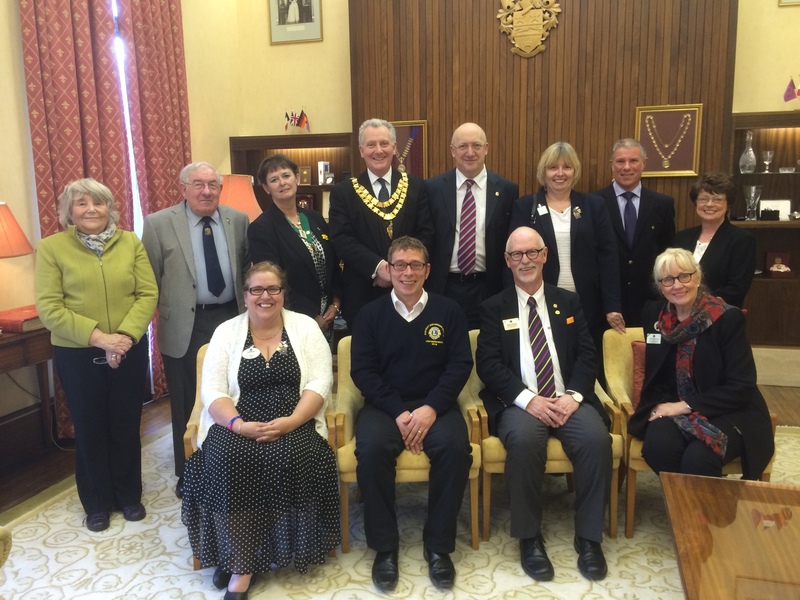 Saturday saw a well attended and relaxed business session, which included the election of next year’s DG Team, Ian Haffner from Worcester as DG, Heather Jeavons from Malvern Hills as 1st VDG and, nominated from the floor, John Gray from Kettering as 2nd VDG. Congratulations to them all – the District is In good hands for next year. All three resolutions were passed, meaning that the District dues remain unchanged, surplus funds from appeals can be applied to a general charity reserve and it will be possible to vote for ‘none of the above’ in a contested election for 2nd VDG in future. The presentation of the cabinet’s reports was achieved in a sensible twenty minutes, allowing time for presentations by the three service committees and for MD Convention officer Dave Seager to tell us about Manchester and Andy Pemberton to fill us in on Europa Forum 2014 in Birmingham. International Director Kenneth inspired us on member-ship and social media and I took the opportunity to present International President’s certificates of appreciation to Sandwell Lions Club, Lorraine Shipley and Danielle Benn. 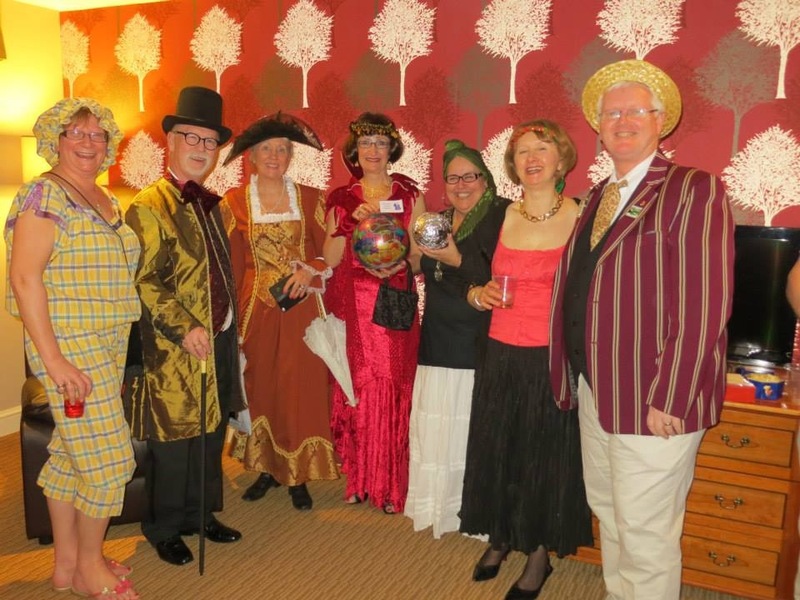 After the business there was an afternoon tea reception for presidents and first timers before the Banquet and Ball. Speeches were kept to a minimum in the evening but I was able to present two more awards, another IP Certificate of Appreciation to Carole Moseley and a District Governor’s Appreciation Award to Phil White for her hard work over many years organising, running and delivering training for club and District Officers. The highlight of the evening for me, despite the excellent entertainment from Dan Harris, was a surprise for Mayor Joe. 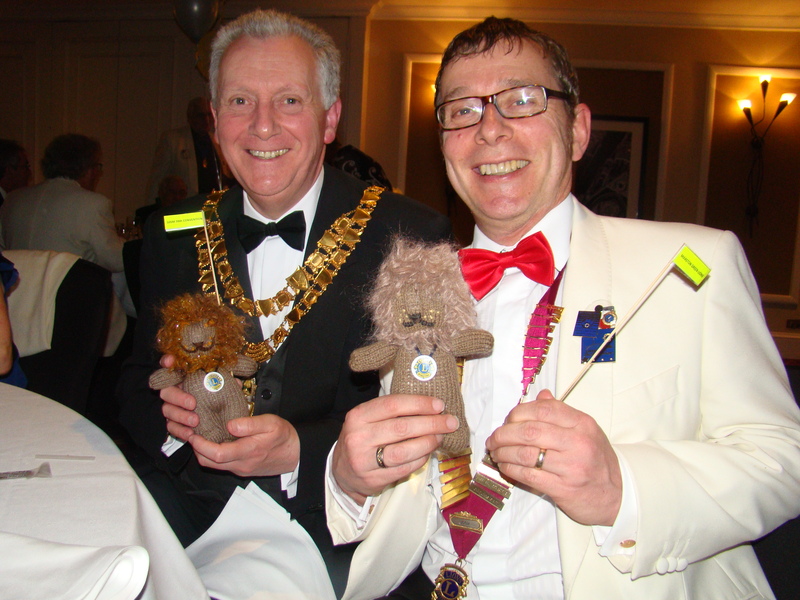 Taking ID Kenneth’s lead, a few enquiries and negotiations secured agreement for Solihull Lions to take the Mayor as an Honorary Lion and Kenneth and I were able to badge him up at the banquet and ball. 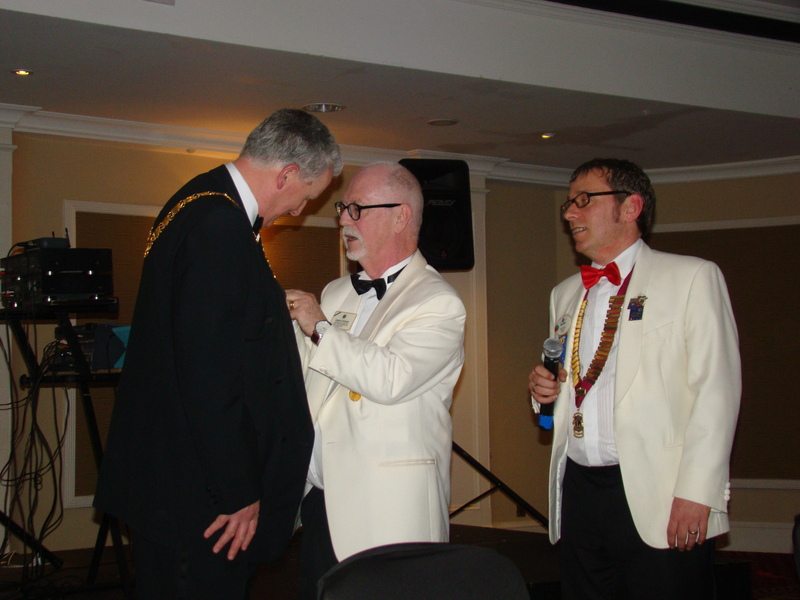 Joe had told me earlier in the evening that the Mayor of Solihull is made an honorary Rotarian in the week they are elected. We should perhaps all look to make our local civic leaders honorary lions for their term of office, as their support could mean a lot in terms of publicity and access to resources and even the possibility of joint service projects. Sunday morning there was a lively question and answer session with Kenneth and Eva before a visit to Zone B’s well attended Zone meeting and lunch at Ming Moon Restaurant. This gave me the opportunity to present a final International President’s Certificate of Appreciation to Birmingham Chinatown Lions to recognise their membership growth and the vibrant young club they have become since deciding become a mixed Club. I also presented a DG Appreciation Medal to Zone A chairman Praful Modi for stepping in to help me when I had no chairman from within the zone. To finish off Kenneth and Eva’s visit Christine and I took them to the new Birmingham Library before getting them back to the airport at five o’clock.